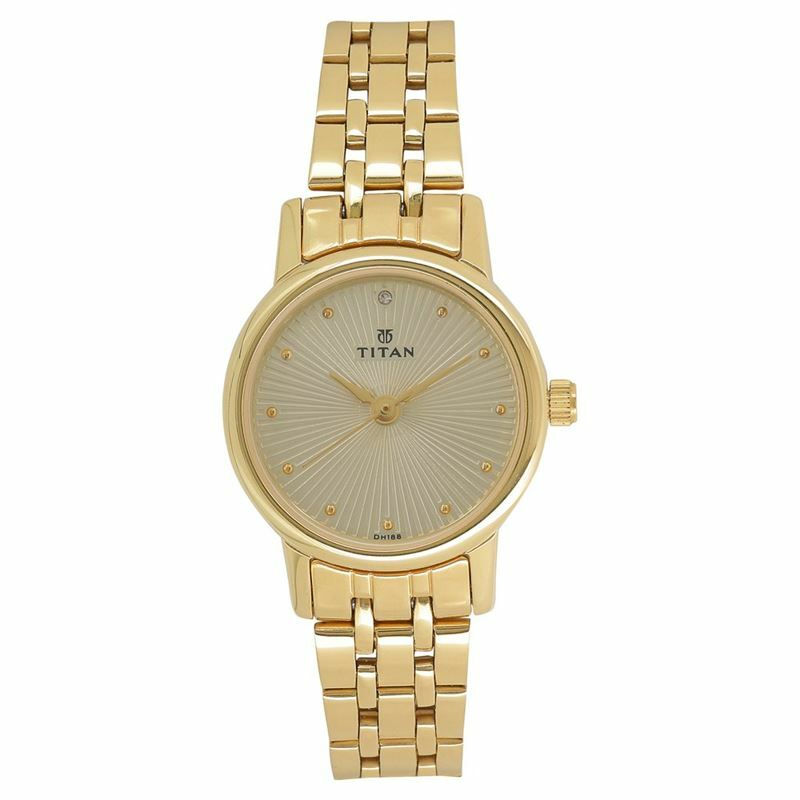 Championing the style demands of today's woman is this elegant piece of work from Titan. The watch is the latest addition from the Karishma Revive collection and has an abundance of attractive design features. The Champagne coloured dial has a de-plated circular design which is spectacularly highlighted. The Swarovski crystal studded at the 12-hour mark and the other hour marks in gold colour dot metal indices add to the richness of the watch which is further enhanced by the golden-coloured stainless steel strap.